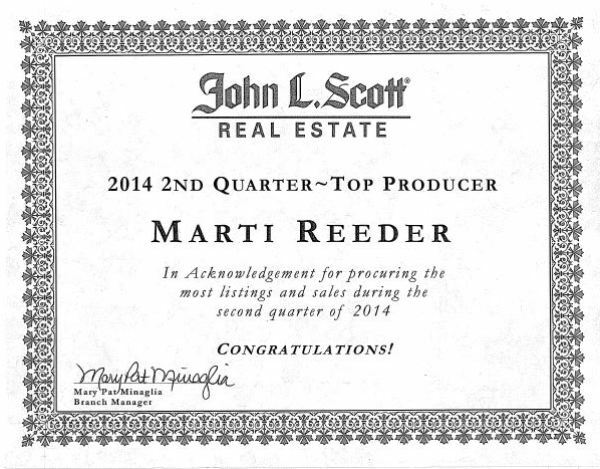 Now that we are in the third quarter of the year, John L. Scott has announced its second quarter results. 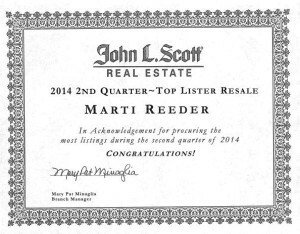 I’m excited to share that I was named Top Producer and Top Lister Resale for the Kent-Covington John L. Scott office. Because real estate is so complex and very customer service-oriented, I take this as a great compliment. 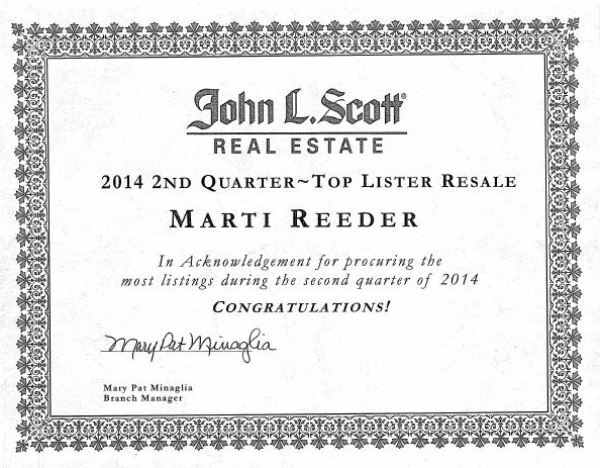 These show that I can get the job done – helping clients buy and sell homes in the beautiful South Sound. 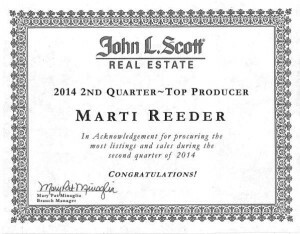 Thanks to my friends and clients who have helped me to be successful, and here’s to a great third quarter!